Why would anyone cover that up???? I am all about HGTV’s Fixer Upper, Joanna Gaines and should be bff’s. I was so completely jealous of anyone who was able to attend the Silobration in Waco Texas this weekend. If you are not a Fixer Upper watcher, catch up people. However this weekend we uncovered a banister. It’s in poor shape just like the rest of our beautiful house but I instantly quoted Nicole Curtis from Rehab addict. 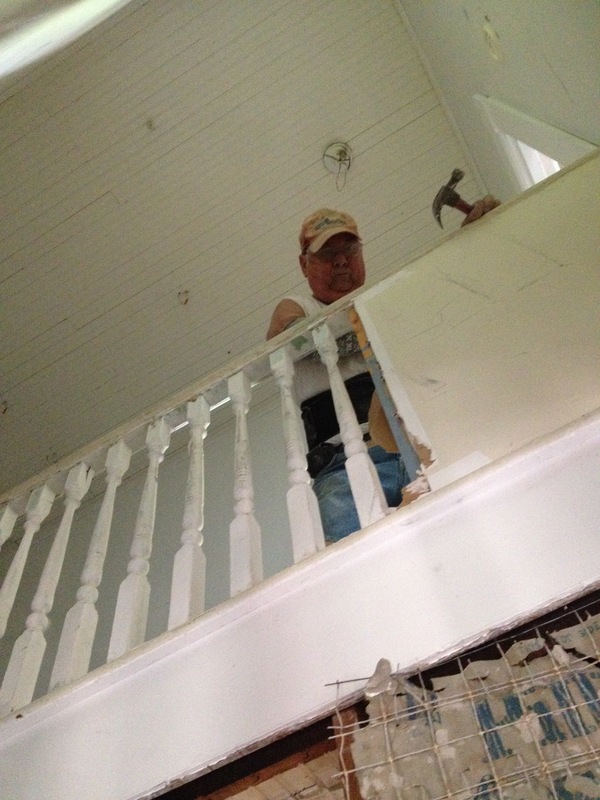 She pulled drywall and she found a stairway banister and spindles. She yelled in her very new england accent “Why would anyone cover that up??? ?” Even ugly, it’s exciting and it also means WE MOVED UPSTAIRS!!!! More demo but it’s ok, we are moving on up. I think the hammer and Dad have become one. Steve, Charma, Pee Wee and Bea.